(SAUSALITO, CA) — clé is pleased to introduce Origins in Delft Blue, a new collection by California potter Forrest Lesch-Middelton. This new series of ceramic tiles are influenced by the sacred geometry and arabesque designs found in the Middle East, North Africa and Europe. Each tile is hand made individually, and can be installed indoors and out on floors and walls. 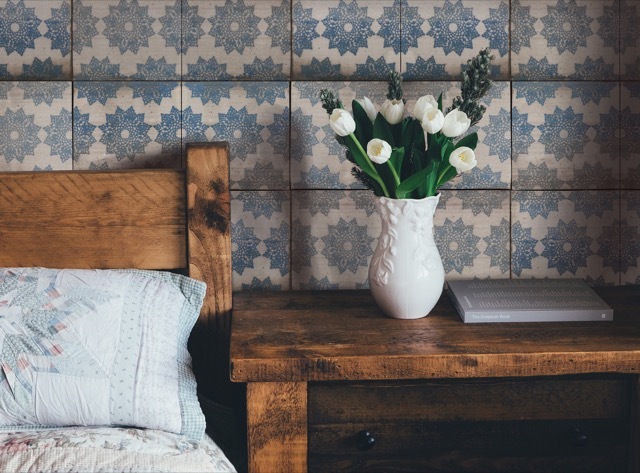 The color Delft Blue was originally inspired by 14th century Chinese porcelain that traveled to Europe across the Silk Road inspiring Europeans to begin their own ceramic production. Nearly every culture has made a form of Delft Blue using white glaze and metal oxides. The seven new tile designs are available in 6 inch squares. Origins in Delft Blue is available exclusively on clé. Deborah Osburn started the international artisan tile e-boutique in 2012. The tiles on clé are as distinct as the artists who create them. It is Osburn’s goal to provide a forum for discovery and conversation about what she loves most, tiles created by impassioned artists creating remarkable surfaces.